If you think doing SEO for a blog is easy, think again. With Google’s algorithm constantly evolving, blogging SEO has been getting more challenging than it has ever been. But there’s a way of simplifying it to an extent where it doesn’t feel challenging anymore. 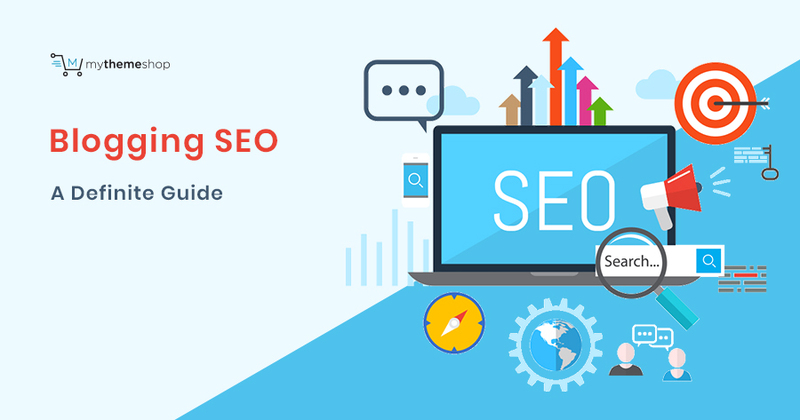 You just need a couple of great SEO tools and getting familiar with them, as well as to educate yourself about blogging SEO by absorbing the wealth of knowledge we have shared in this ultimate guide to blogging SEO and through away some SEO tips that are useless. So without further ado, let’s walk you through step by step. Keyword research is the heart and soul of blogging SEO. One of the biggest reasons most blogs fail is that they just don’t manage to find and target the right keywords. They either do no keyword research at all or end up going for the wrong type of keywords that are too competitive or just not profitable enough. You need to make sure that you can rank in the top ten results for the keywords you’re targeting, preferably among the top 3 results for those keywords. Needless to say, not targeting any keywords and just writing content may get you nowhere. This is unless you’re in a very good niche with little to no competition, where simply writing about things that the audience in that particular niche may find useful – might work out pretty well too. However, the problem is, even for such niches, you may not be aware of what exactly to write about. If you write about a whole lot of topics, but not many people are searching for anything related to those topics, then who is going to read all the content you have written? Simply put, keyword research is crucial for any blogging project. But if you’re new to it, how exactly do you go about doing it the right way? Well, this is something that you need to understand in a very detailed way, so we have already have an in-depth keyword research guide here, which would help you understand everything you need to know about keyword research. Most bloggers use WordPress, so we are going to talk about how to do on-page SEO optimization for your site using WordPress. One of the biggest advantages of using WordPress is that it makes it super easy to optimize a site for SEO; but on the flip side, if you aren’t careful with the way you optimize your site, then you may end up over-optimizing your site. So, go through all the WordPress settings and find out how to optimize the settings for SEO without messing anything up. Well, what we discussed so far was really about the basics of blogging SEO. If you want to rank your blog in a more competitive and profitable niche, chances are you will need something much more than the basics. And this is where a WordPress SEO plugin comes in. It’s very difficult to take care of the entire on-page SEO manually, as there’s a lot to it, much of it being something most bloggers may not really be able to handle on their own. A WordPress SEO plugin can take a lot of challenge out of your on-page SEO process, making it very simple and straightforward. Then you will need to do is focus on your off-page SEO to rank your site. But unfortunately, there are only a few SEO plugins that are good and safe enough to be used for the on-page SEO of your blog. While Yoast SEO is one of them, we are sure many users may be interested in trying out something that offers some new and exciting features and eliminates the need of multiple plugins for on-page SEO. The thing is, it’s fairly limited in terms of its functionality, so while it can help you set up the basic on-page SEO settings pretty well, it wouldn’t turn out to be very useful when it comes to the more advanced aspects of the process. So is there a way around it? Is there something that can optimize your site for pretty much everything a blog can be optimized for? What about having control over the process? Can an SEO plugin also let you customize the on-page SEO process in a way that makes it a tailor-made SEO plugin for your site? The answer is a resounding Yes. And that’s because MyThemeShop has developed the most complete, most sophisticated, and the fastest WordPress SEO plugin the blogging community has ever been introduced to. This beast is known as Rank Math, and we will now discuss in detail how it can be an integral part of blogging SEO, regardless of the type of blog you’re running or plan to run. 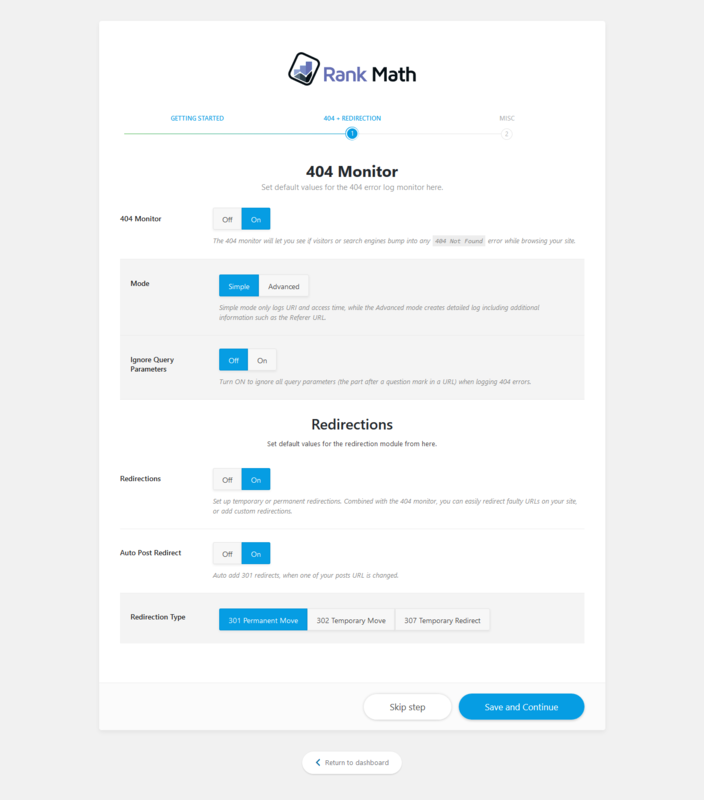 Now, before we walk you through all the features of Rank Math, you would need to install it. You can install the Rank Math plugin by following the instructions here. 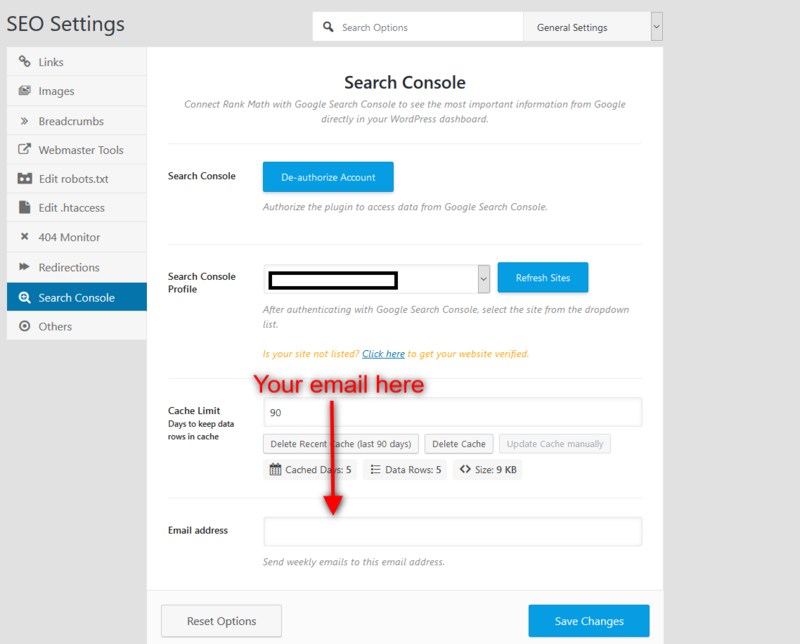 If you don’t know how to install the Rank Math plugin through the Admin panel, please click here to find the instructions. Similarly, here are the instructions for installing Rank Math with FTP, and installing it with SSH. First things first, here’s a detailed tutorial on setting up the Rank Math plugin. As you can see there, you don’t worry about having to set everything up right from scratch if you’re switching to Rank Math from the Yoast SEO plugin. 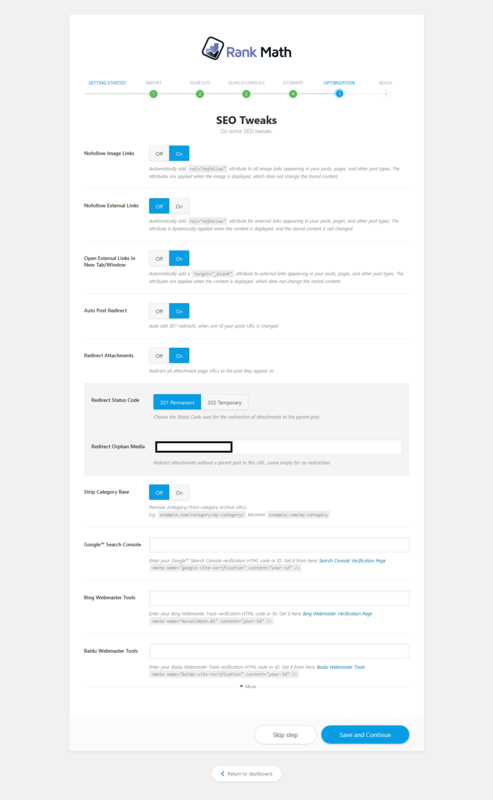 It allows you to import settings from the Yoast SEO plugin or other SEO plugins right on the first step when you’re getting started with it, as you can see in the image below. On the second step, you will be able to choose what type of blog you’re installing it on. For most bloggers, it’s going to be a personal blog. This includes those that blog about different types of products or post product reviews, as well as the ones talking about their travel experiences, financial tips and a lot more. Hitting the Continue button will take you to the third step, where you can integrate the Google Search Console with Rank Math. You need to click on the Get Authorization Code as you can see in the image, and then log in to the Google account associated with the website you’re installing Rank Math on. The page with the code would look exactly like how it does in the image below. You simply need to copy and paste it into the Search Console box. However, this won’t work if you haven’t verified your site with the Google Search Console. In that case, you would see a message and a link at the bottom of the Rank Math Google Search Console page that you can click on to get your site verified. On this page, you will see the option to verify your site with the Search Console verification page. Click on the link that we have pointed out in the image below. 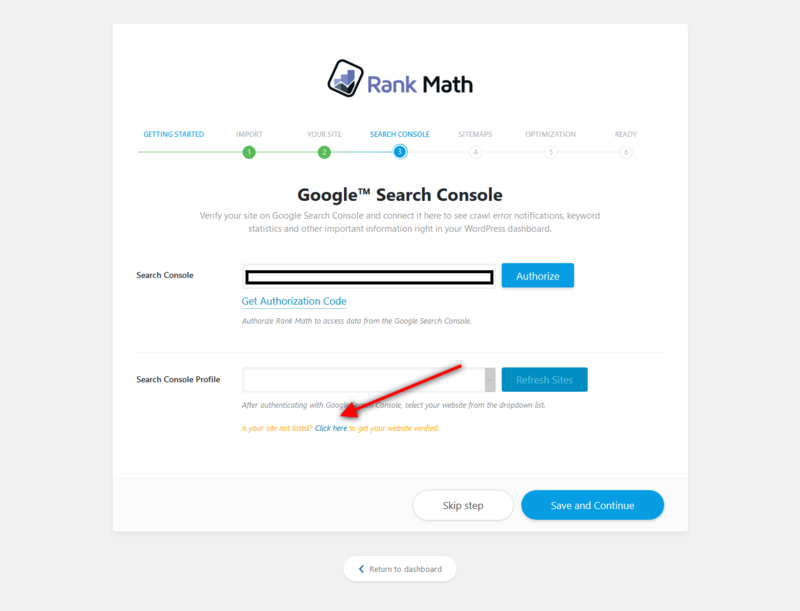 This will take you to the Google site verification page where you will be able to grab the verification code and paste it inside Google Search Console field of Rank Math (as seen in above screenshot). That’s all there is to it, and you then need to just click on the Update button, and go back to the Google site verification page and click on the Verify button at the end of the page. However, if you want to verify your site without having to make any changes to the code yourself, you can simply put the code into the Google Search Console box in Rank Math’s Webmaster Tools page. 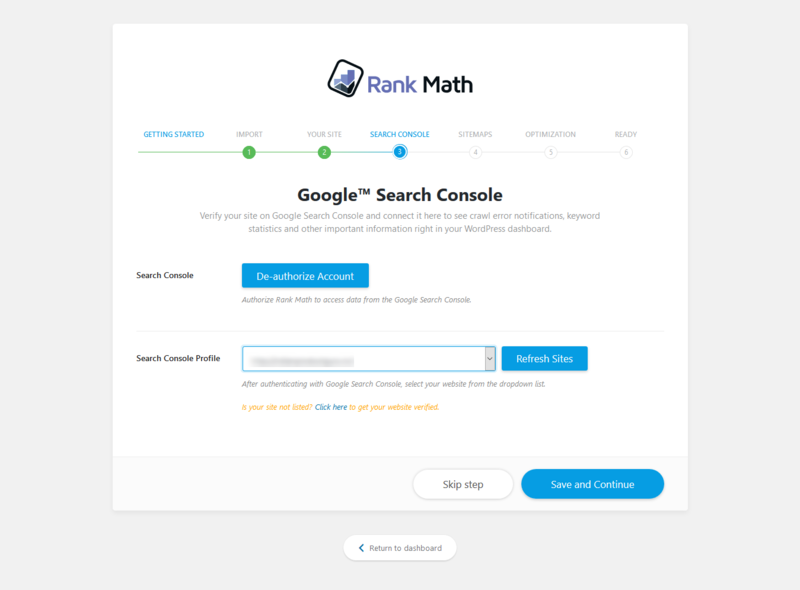 When you go back after verifying your site with Google Search Console, you will be able to see your site in the drop-down menu in Rank Math’s Search Console page when setting it up. On the next step, you will be asked whether you want to create a sitemap for your site. If you haven’t done it already, it’s recommended that you do it at this step. Generally speaking, you would only want to select posts and pages, and for most bloggers, the categories in the sitemap. It’s usually a good idea to avoid including the media and the tags in the sitemap. It’s worth noting that to be able to make the kind of customized sitemaps Rank Math can create for you, you will likely need to use a very good sitemap plugin separately. The next page is titled Optimization, and that’s exactly what it would help you do; optimize your site in a custom but highly effective way. Let’s take a look at all the things you can use under this option and optimize your site. Pretty much everything you see above is self-explanatory. For those that are complete beginners to blogging, the nofollow image links mean that your site won’t pass any SEO link juice to other sites or sources if you link to external images. As for the Strip Category Base option, it’s just another form of URL optimization. For most bloggers, going with the options we selected in the image below would be a recommended approach. However, some bloggers prefer to set the Nofollow External Links option to On, meaning that all the external links on their site will become no-follow links. Once you click on the Save and Continue button on this page, you will be good to go. 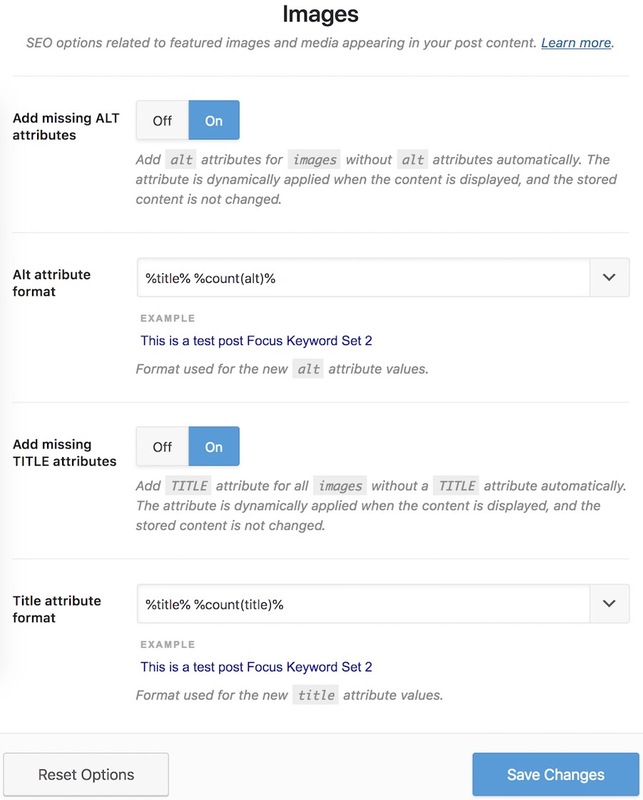 However, if you want to set up some advanced on-page SEO stuff right off the bat, you can click on the Setup Advanced Options button, which will take you to the screen as shown below. Rank Math has automatically selected the best settings for bloggers here, so they simply need to hit Save and Continue to save these settings and move to the second advanced step. Although it’s technically the “miscellaneous” step, there are some very useful settings here. It allows you to have rich snippets for your site, which are now a highlighting feature of Google search, which means they can help you get significantly more traffic. The only different setting here is the Add missing ALT attributes, which is recommended to be kept On for all types of blogs; it would help you save a lot of time manually putting ALT tags for hundreds or perhaps thousands of images. Rank Math also has a bulk editor for the ALT attributes, in case the user wants to add them manually but without wasting a ton of time. Finally, hit the Save and Continue button and your blog will instantly be better than 90% or more of all the blogs out there on the web, as far as the on-page SEO is concerned. But of course, this isn’t everything that Rank Math is going to do for you. If you click on Rank Math on your dashboard and go to the Modules tab, you will find a lot of cool SEO optimization options you can enable or disable as per your requirements. If you don’t know why all the features you see above are so important, let us explain. Google, or any other search engine for that matter, just doesn’t link dead links on your site. They are not only a sign of poor optimization but can also lead to a bad user experience. Large blogs can often have many dead or 404 error pages, which can contribute to lower rankings in the SERPs. Rank Math protects you against such ranking issues by automatically detecting and alerting you about any 404 errors as soon as any of your blog’s users or the search engines run into them. Redirections module allow you to easily redirect posts that never existed or have been deleted or moved to new URLs, to their current working URLs or other posts you would like to drive the traffic to. Rich snippets go a long way in making the search results of your site stand out in the SERPs, attracting a much better click-through rate than you would otherwise get, which greatly boosts your site’s organic traffic. However, it can be very challenging to get a rich snippet manually. But as Rank Math is designed to simplify the on-page SEO for you as much as it’s realistically possible, it comes with a Rich Snippets feature as well. What this feature does is add metadata to your website, which helps your site create rich results in the search pages, attracting a lot more organic traffic than pages that don’t have a rich snippet. Role Manager module is useful for those that have other people managing the site alongside them. They can restrict what features of the Rank Math plugin the other people or admins can access. If you set up the search console for your site and verify your site with Google’s Search Console following the steps we explained above, you will be able to access all your important Google Analytics data and information from right within your WordPress dashboard. Again, this is another feature thousands of bloggers employ a separate plugin for, at the cost of some speed compromise for their blog. SEO Analysis is one of the most unique features of the Rank Math plugin, something that no other SEO plugin has been able to offer to the extent that the Rank Math does. We will talk about this feature in more detail in a bit. The last feature you would find on the Modules tab of Rank Math is the Sitemap. While we have already discussed a bit about it above, we would again like to bring to your notice that the flexibility you get with respect to creating your site’s sitemap is definitely a pretty unique feature of Rank Math. But that doesn’t take anything away from the ease of making and submitting sitemaps using this plugin, as a few clicks are all it takes to create one. However, there’s one great optimization feature that you can’t find listed here but would find directly when creating a post, is the internal link suggestions. If you have simply been cranking out blog posts one after another without linking them to one another frequently enough, you’re missing out on a LOT of organic traffic and rankings. As we enter into a new era of SEO, the internal links matter more than ever, as they can greatly contribute to the overall user experience. In fact, there have been some detailed SEO case studies where simply interlinking all the posts on the blog properly have led to huge improvements in organic traffic, which were obviously due to significant ranking boosts. But it can be hard to keep inserting the internal links at the right places, as your focus will be on writing the post. Similarly, it can be hard for new bloggers to figure out how exactly they should be interlinking their posts. 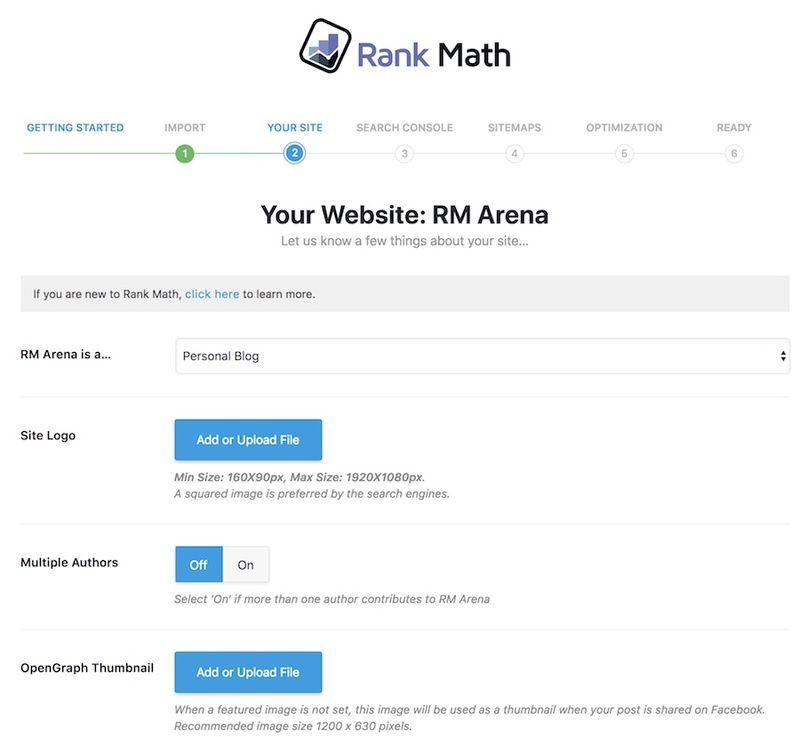 However, Rank Math’s Internal Linking feature will take care of this entirely on its own, as it will automatically insert relevant internal links into your posts based on the keywords you select for them (if you decide to use this feature, of course). 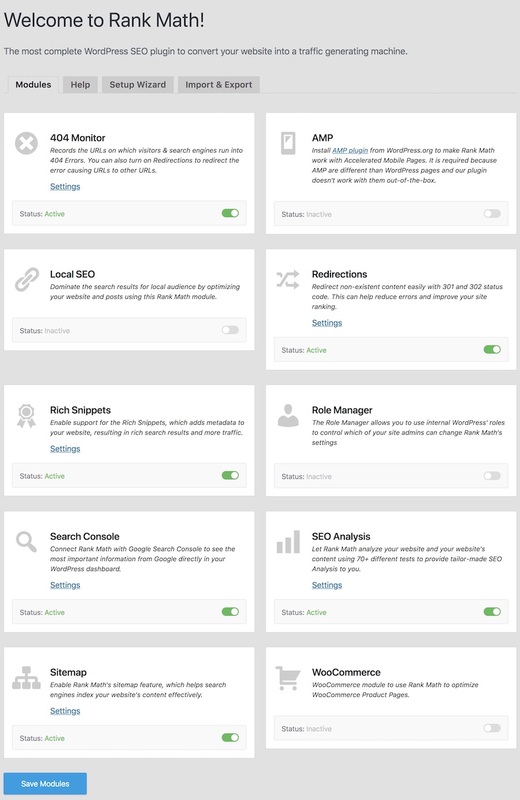 You have a ton of useful on-page optimization features right under the General Settings of Rank Math. It’s super easy to make the kind of changes you want or, if you don’t know what type of settings you should be having here, simply go with the default standard options which are usually the recommended approach to these settings for most bloggers. However, let us give you a quick overview of the different options under these settings. 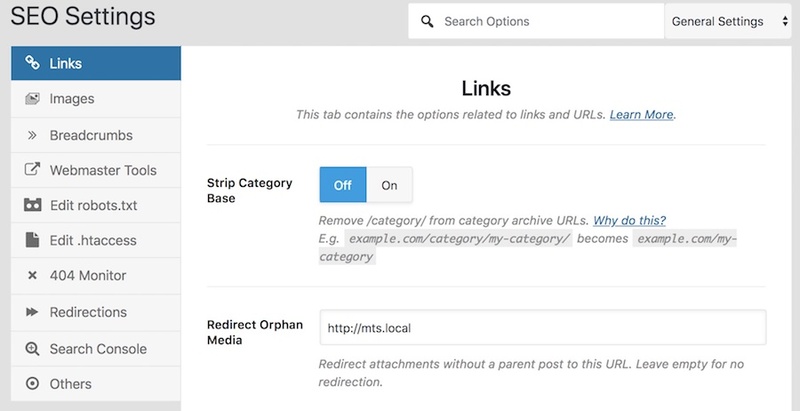 Strip Category Base: It basically helps you make your URLs more SEO-friendly by stripping the /category part from them, when you already have the specific following this part. But generally, it’s only needed for ecommerce sites, so bloggers can let it stay Off. Redirect Attachments: An attachment usually doesn’t offer any value to the visitors, as they are just a part of posts that the readers are actually interested in. So it makes sense to redirect them to the post they belong to, so that the visitors can find exactly what they are looking for. Redirect Status Code: The 301 Permanent means that the redirections will be permanent, and not temporary. This is what most bloggers would need when redirecting dead or attachment URLs, so stick to this option and not the 302 Temporary. Redirect Orphan Media: As we have been saying in this post, Rank Math goes above and beyond to make sure your blog stays on good terms with the big G (Google!). While many SEO plugins may show an error if the redirected media page has no parent page it can link to, Rank Math allows you to redirect such pages directly to the homepage (or some other page according to your preferences), so that there’s still no errors on your site. 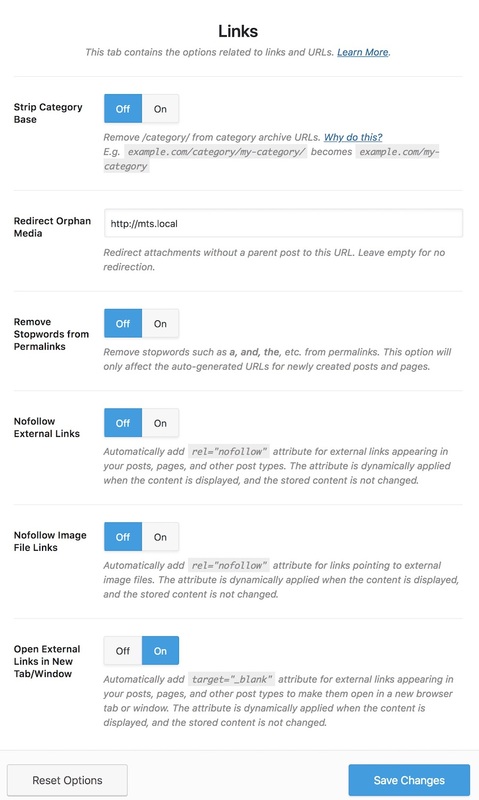 Remove Stopwords from Permalinks: If you set this option on, it will automatically remove all stop words from the URLs of your future posts. Stop words include a, and, the, etc. While this can be a good setting to have, it can sometimes make the URLs look a bit unnatural. Moreover, not having stop words in the URL being a good on-page SEO setting is more of a theory than something proven through experimentation. So we would leave this one up to you and your preferences. Nofollow External Links: This option allows a blogger to make all their external links nofollow, meaning no link juice is passed to them. It isn’t very recommended unless you know exactly what you’re doing and why you’re setting it on. Nofollow Image Links: This would simply make the images you link to from your blog nofollow links, which shouldn’t harm and help you retain some useful SEO juice. You can let it stay On. Open External Links in New Tab/Window: When someone opens on an internal or external link on your blog, the existing page will remain open and the new page will load in a separate tab. You don’t want your readers to be driven away from your blog to someone else’s site, do you? Similarly, it can help improve your visitors on-page time on your blog even if they are only clicking on your internal links, which is an SEO factor too. So make sure it’s always kept On. Unless you have an image-based blog, you would want to let the options you find here stay Off. For an image-based blog, however, setting them On may turn out to be immensely useful. This is because they can often have tens of images in each blog post, meaning that it would take a lot of time to manually add ALT and title attributes to them, which can be an important SEO factor for image-based blogs. Setting these options On would save you all that headache, as Rank Math would then automatically add those details to your images in a relevant way. Breadcrumbs affect the on-page SEO of your site and can determine how your website’s results look in the SERPs. You should keep this option enabled. Put all the verification information asked here for the search engines that really matter for your blog. Don’t bother adding all the search engines, as it will just be a waste of your time. The bloggers that really need to edit these files know how to do it. For all the other bloggers reading this, there’s no need to mess with these files, as doing so without the required technical knowledge can lead to some serious errors on your site, especially if you make changes to the .htaaccess file. Again, Rank Math does a pretty good job with its standard settings here, so most of the bloggers won’t need to do anything. However, for those that have been experiencing some issues with their 404 error pages, they can use the Advanced mode to find out exactly what’s wrong, as well as find out the source from where the visitors are coming to the 404 error pages. We will discuss the other more specific 404 Monitor features below. 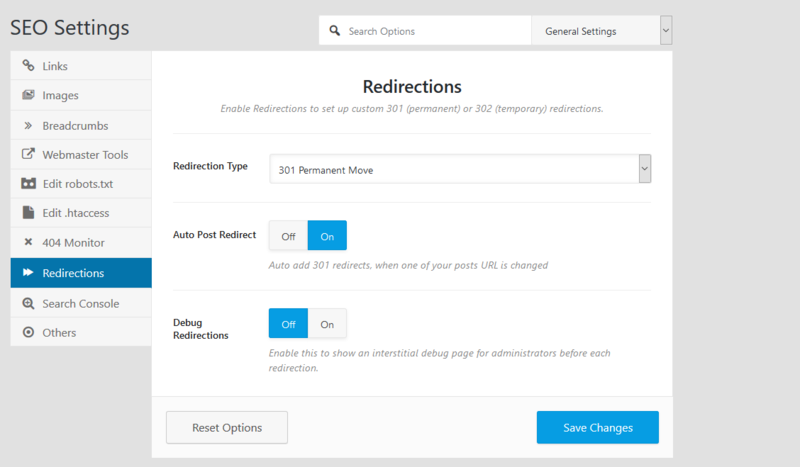 This setting allows you to have the ideal redirection setup, which can help you avoid running into 404 and other errors that are caused due to the URLs of one or more posts being changes. While the first option in the setting will allow you to have permanent 301 (or temporary 302/307) redirections in case of a URL change, the second option will enable an auto post redirect meaning that in case you end up changing a particular post’s URL, you won’t have to set up a redirection for it manually; it would be automatically taken care of by Rank Math. 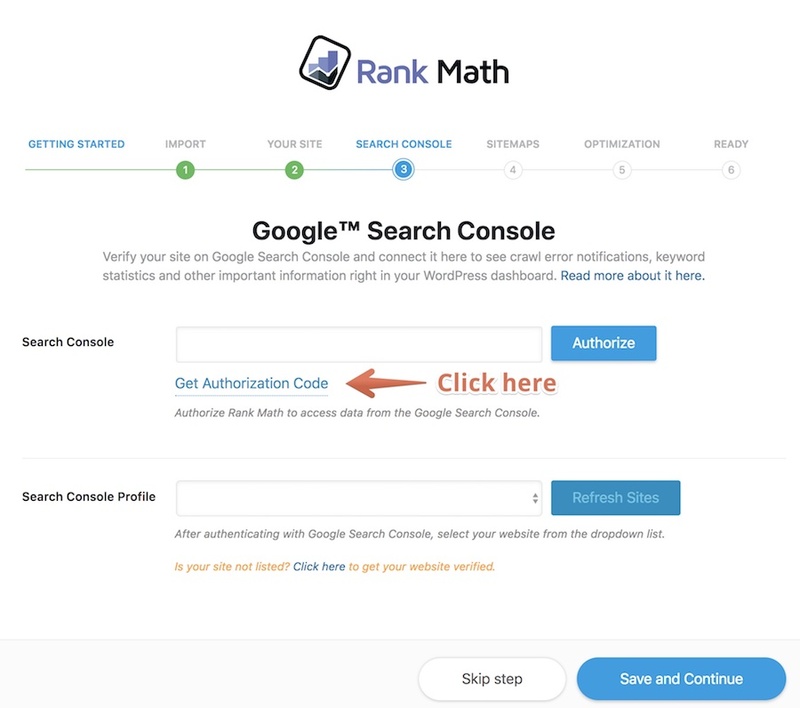 The search console option lets you integrate Rank Math with your Google search console account, allowing it to access and analyze crucial analytical data of your blog for you. However, we don’t need to do anything here, as we have already set it up when setting up Rank Math. However, you can change the cache limit here depending on till how long you want the data to be stored by the plugin. Then you can also put your email address in the last option so that you can get weekly reports of important analytical data from Rank Math. Under this tab, you can allow Rank Math to collect data in an anonymous way, which would help the developers improve it even further. The other option you find under this tab is basically about getting a link to your blog as a credit when someone copies your posts and puts them elsewhere. It’s set up to get you a link from such sources by default, which is recommended and shouldn’t be changed unless you have a reason for doing so. Finally, there’s the Search Console where everything is how it should be, so you don’t need to do anything there either. After General Settings, you can see the Titles and Meta settings. Here are the options you would find here. The first tab you will land on after clicking on the Titles and Meta settings is Global Meta, which would allow you to make some of the changes that we have already discussed above. Apart from that, you can also change the Separator Character if you prefer some other character instead of the one currently being used. Similarly, you can also set the Capitalize Titles option On, so that the first character of all your title tags is automatically capitalized, saving you a big of time and preventing it being left in small character in case you forget to do it yourself. You can also set an OpenGraph Thumbnail here, which is the image that will be shown when any of your posts without a featured image is shared on Facebook. Similarly, you can also choose your preferred card type for Twitter here. Rank Math comes with the most comprehensive list of social networks that it allows you to link to your site under this option. Most other SEO plugins, including Yoast SEO, offer far less options. But there’s even more. You can also put your personal Facebook page’s URL that will be shown as the Facebook Authorship when your posts are shared on the social media platform. Likewise, you can also put one or more Facebook Admin IDs, Facebook app ID, Facebook secret ID and Twitter page URL. You don’t necessarily do anything under this tab either. 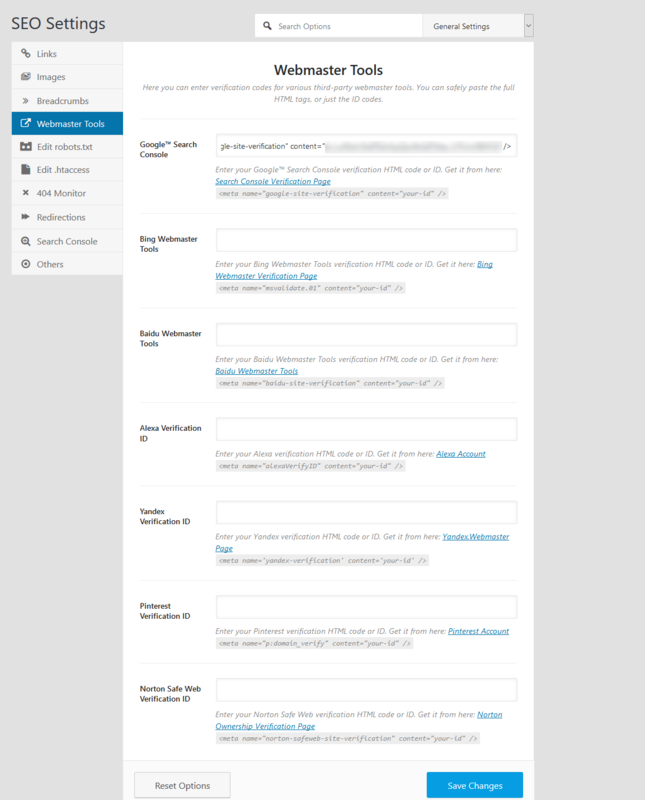 However, filling out the different options you see here to make them describe your site better would be a good idea. There are also the first two options that allow you to modify how your site’s description or search result looks in Google’s search engine. While this is something up to your preferences, if you don’t have anything specific in mind, just stick to the “%sitename% – %sitedesc%” as your homepage title. You can also put a custom meta description for your homepage in the second option. Finally, let the Homepage Robots Meta be set to Default. If you have multiple authors contributing to your site and you want to feature them all on your blog, you can use this option to set up profiles for each one of them. By default, the options selected here would work well for most blogs. However, there’s one change that can work better for some bloggers, and that would be to set the last option to On, which would mean that the password protected pages on your blog wouldn’t be indexed by search engines. While it isn’t even going to matter for most bloggers that have no password protected pages on their blog, there may be some who are selling some course on their blog and have protected the premium content using a password which they only shared with paid readers of their blog. But the problem with letting such pages index is that, if the general readers somehow end up on those pages from the search engine, they will likely click the back button almost immediately, which would ruin the bounce rate and some other metrics that are considered to be important as far as the on-page of your site is concerned. That all said, there’s another change that may have more to do with a blogger’s preferences than being an on-page SEO setting. And that’s the Search Results Title here. We think having the %page% in the title can make the search result titles look a little messy. We think having the “You searched for %searchphrase% %sep% %sitename%” would work better here, as it would make your site’s search results’ titles look neater and cleaner. Then under the Post Types section, we have three options, the first of which is Posts. Don’t do anything with the first two options, as having the same post description for all your posts is not something recommended at all, even for blogs with a lot of (similar) posts. Then you have the Rich Snippet Type, which should be set to Article for most blogs. However, a video blog may want to set it to Video, and a blog that primarily shares information about the jobs that are currently available for their readers can set it to Job Posting. The rest of the options are going to be fine for most blogs, so head to the next option. Everything remains the same here. You can choose the Rich Snippet Type the same way as you can for posts, although by default it’s going to be set to None. However, unless you’re sure setting a particular type is really going to help, letting it stay as None may be a better option. Again, the same thing applies to Media that we told you for the Posts and Pages above. However, there may be some bloggers that are using copied or copyrighted images from other sources (which isn’t a recommended practice for the record) only to serve their readers better. In such a case, they may also want to tick the No Image Index box at the end of this page, besides the No Index box which is already ticked by default. Everything has been set up properly by default here as well, but some bloggers do prefer to have their categories indexed. If you too would like to follow this approach, you need to untick the No Index box for the Category Archives Robots Meta. However, do keep in mind that if you do this, you will need to make sure there’s a decent bit of content on your category pages, as if there isn’t, they will be seen as “empty” pages by Google which may negatively affect your site’s rankings. Similarly, you shouldn’t use the category description box you see under this option even if you’re going to let your category pages get indexed, as having the same description for all your categories will be just as bad. 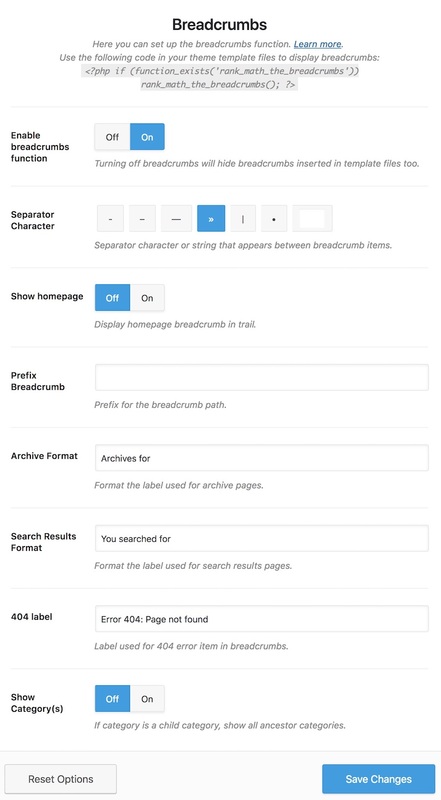 You will need to put some description and other content for your category pages by going to your Categories option under the Posts menu on your WordPress dashboard. Tags should always be set to No Index, which they are by default. And if they are no-indexed, the rest of the options here don’t matter. After Titles and Meta, you have Sitemap Settings. Most bloggers don’t need to make any changes here. However, if you have a very large blog and need your sitemap to have more than 1000 links, you can do so by putting a bigger number than 1000 in the Items per page box. If you don’t want any images on your site to be indexed in the search engines, you need to put the Images in Sitemap to Off. However, it’s recommended that you let it stay On, so that the important images on your site can get indexed, telling the search engines that you have media-rich content which offers better value to your readers. Whether to include the featured images or not, however, is entirely up to you, although it’s set to Off by default. Then you have the Exclude Posts option, where you can exclude certain posts from your sitemap, usually the ones you don’t want the search engines to know about. Let the rest be how it is by default. Want the author pages to get indexed? Click on the On option and they will be included in your sitemap. This usually isn’t required though. Here you can find the list of 404 error pages your readers or search engines may have run into. You will also be able to find how many times has those error pages have been accessed, and either redirect or delete them right from this setting itself using the Bulk Actions drop-down option above. Here you can find all the redirections you have created so far, as well as create new ones, or export them in two different ways. This is a super useful feature of Rank Math, where you will find all the info you need to understand how your site is performing in the SERPs. It will also give you a lot of insight about what changes are to your on-page SEO strategy to make your site do better in the SERPs. What you will find on the main Overview screen are charts and stats. You will be able to learn how many clicks your site has been getting in the SERPs, and compare that to the number of impressions. The result will be your CTR (Click-Through Rate), which will be a part of the analytical chart as well. This alone will tell you a lot about the quality of your on-page SEO. If you’re getting a lot of impressions but they aren’t converting into clicks, you may want to work on the title and meta description of the posts that are ranking, as well as try to optimize the rich snippets better in order to get into a better position where the impressions are much more likely to convert into clicks. You will also be able to know what the average ranking position of your posts and pages is. This will allow you to constantly track your progress as you move closer to the top ten positions. Under Search Analytics, you will find the keywords your site is ranking for and what position it is at for those keywords, as well as how many impressions and clicks the rankings are generating. Furthermore, you will be shown the CTR as well, and good on-page SEO optimization would help you drive up the CTR, allowing you to get more out of your site’s organic rankings. 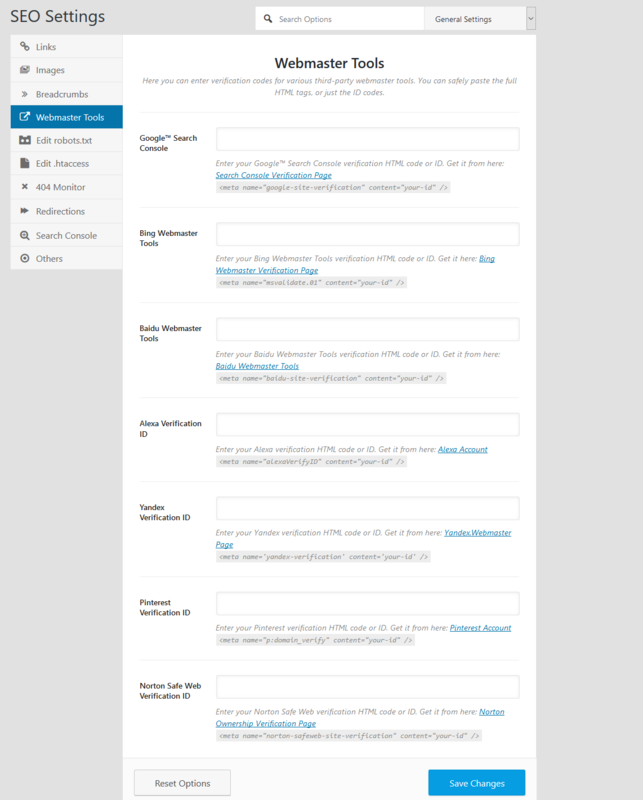 The Sitemaps tab would list all the sitemaps you have submitted so far for your site. It will make it easy to keep a track of the changes you have made to your sitemap over time, and how those changes have affected your site’s rankings. If you see any changes leading to a negative effect on your site’s rankings, you can quickly go back and analyze the changes you have made and undo them if they have been the cause of the decline in your blog’s rankings. Here you will find all the crawl errors search engines have found on your site. If you see none, great; but if there are any crawl errors, you must use Rank Math to understand what they are and how to fix them. This is another reason Rank Math is as complete as an SEO plugin can get. A good rank tracking tool alone costs a hefty amount every month, but you will be getting it as an additional feature with Rank Math. This is besides all the other cool features we discussed above of course. This feature basically analyzes your entire site for things that can influence the on-page SEO of your site and, thus, your site’s rankings in the search engines. It takes less than a couple minutes for it to analyze your entire site and come up with an SEO score for your site. But the more important part of this feature is the detailed report you will get. It will give you an in-depth view of the things you’re doing right as well as the issues you need to work on with respect to the on-page SEO of your site. But it doesn’t stop there. There’s also a “How to fix” option beside each of the issues it detects on your site. You can simply click on it and get actionable advice to fix those issues. 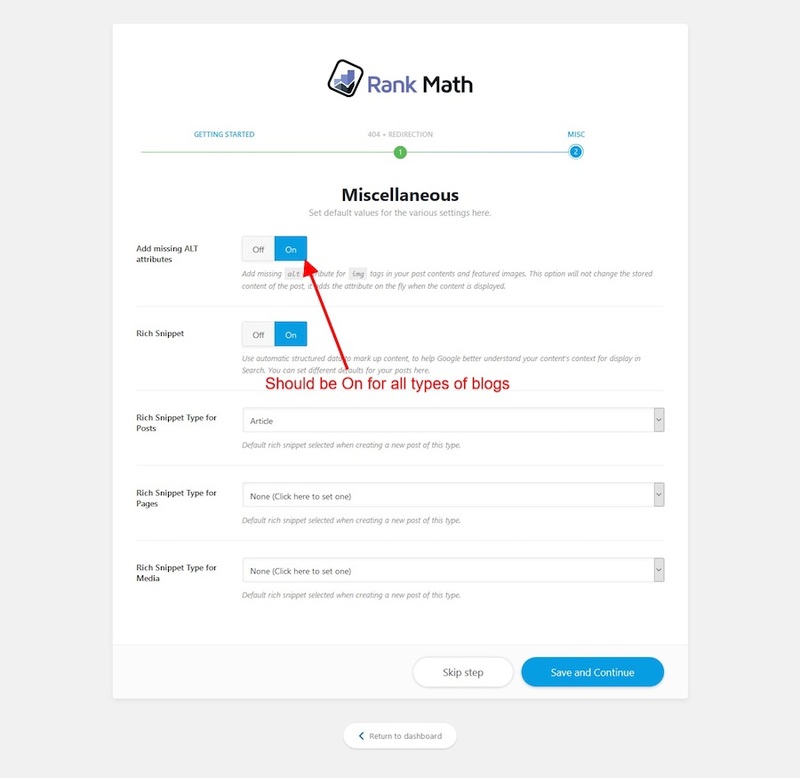 With Rank Math’s SEO Analysis feature, finding out the on-page SEO errors you need to fix and how to fix them would be just a click away. Has SEO ever been more simplified? 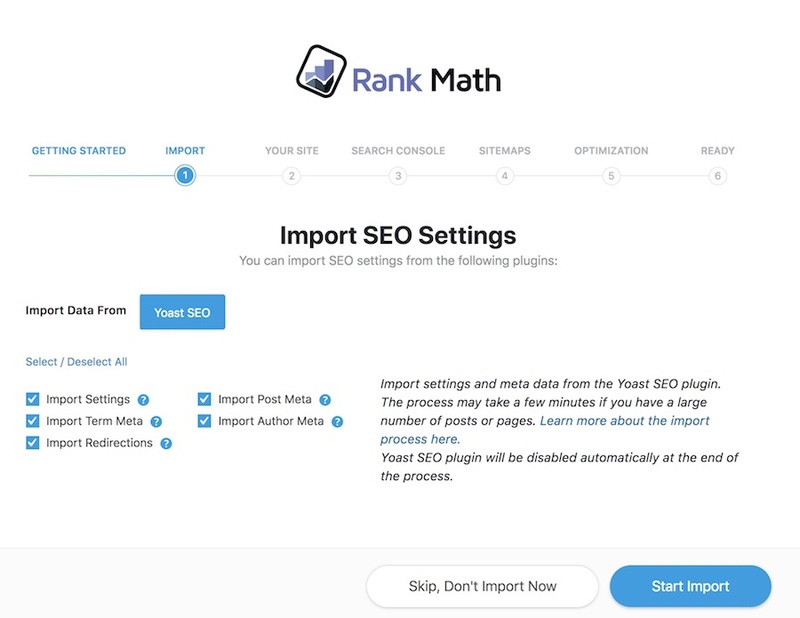 You can use this setting to import settings from another SEO plugin into Rank Math or export Rank Math’s settings and save it on your computer. Here’s a detailed tutorial to simplify it further for you. If you need help with any of the features or using Rank Math in the best possible way to optimize your blog’s on-page SEO, you will be covered with MyThemeShop’s prompt and expert customer service. Well, we just discussed everything there is that you need to do for the on-page SEO optimization of your blog, including explaining all the features of the best WordPress SEO plugin on the market, Rank Math. But is on-page SEO optimization enough? Most of the time, it isn’t. Unless you’re in an incredibly low competitive niche, you will likely need to do off-page SEO optimization. And that’s where things can get a little tricky, as you don’t have an awesome plugin like Rank Math to assist you with it. But after reading through the rest of this post, you will probably get familiar with some of the most effective off-page SEO techniques out there, which you can combine with Rank Math’s great on-page SEO abilities to achieve the kind of rankings you’re after. As often as you might have heard this phrase, it’s worth mentioning again that content really is the king. And that’s because unless the content is good enough to satisfy the need of your readers, you will struggle to rank at the top in the long-term, even if you somehow manage to get there for a while. While this was true before as well, it’s something even more important now because of RankBrain. RankBrain is believed to be a crucial component of Google’s overall algorithm, and it analyzes how satisfactorily a particular site answers the query of the users searching for the terms it’s ranking for. If the users landing on your site don’t like the content and press the back button quickly and go to some other search result, Google counts that against you. On the other hand, content that’s in-depth and engaging tends to attract great links naturally over time. While we can go on and on about why you should focus on making your content awesome and how you can produce such content, we will save ourselves the trouble by linking you to our guide on writing great posts that we have already have on our blog. The “real” off-page stuff starts from here. And the first off-page SEO technique we will discuss is the evergreen guest posting. Guest posting is basically writing an article and getting it posted on someone else’s blog while linking to your site from that article. The site’s bloggers typically guest post on are the ones that are in the same niche as their blog, but guest posting on sites that are in a similar or relevant niche doesn’t hurt either. Finding for guest posting targets in your niche is very easy. You simply need to use some of the search queries mentioned below and perform a search on Google. There are many others, but the ones we mentioned above are the most commonly used and should help you find a ton of guest posting opportunities. 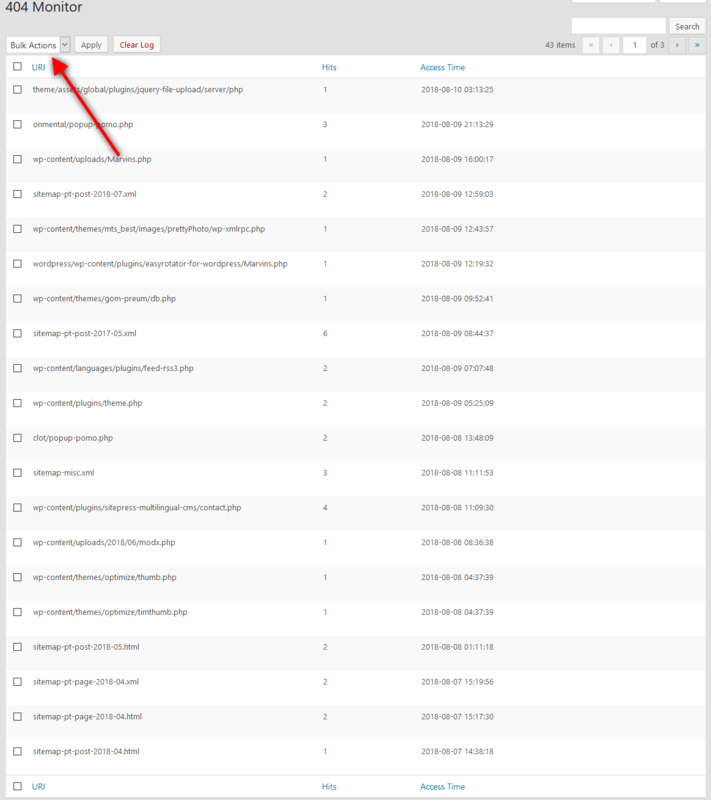 Another great way to search for sites that accept guest posts but may not have a “write for us” page is to analyze the backlinks of your competitors. If they too have been making guest posts, you will be able to see where they have been guest posting, allowing you to do the same. You can then go through the guidelines of the targets site, and get a guest post written (or write it yourself) accordingly. Then reach out to them using your guest post, and politely ask them to post to their blog. If they reject the post, reach out to the other targets using the same post (but change it a bit depending on the guidelines of the other sites). A small tip to improve your chances of getting a guest post made successfully is to first target only the smaller sites. If you go straight to the biggest sites in your niche when your blog is new and unpopular, you will likely face rejection. But if you write a great guest post, the smaller guys would still be happy to accept it. Broken link building is an SEO technique that’s based around a simple concept but can be very powerful if you employ it in the right way. Basically, it involves finding “dead” links on sites in your niche, recreating the resource on your own site, and reaching out to the webmaster to tell him about the dead link and offer your new resource on the same topic as a replacement for it. All that said, it’s indeed easier said than done. Surprisingly, most webmasters never reply to your email about replacing the link. However, it’s still a great link building strategy all the same. Why? Because it can be scaled up fairly easily and is more of a numbers game. So unlike guest posting where you only reach out to a few targets at a time and put in a significant amount of effort in getting the link, broken link building is easily scalable and you can reach out to hundreds of targets at a time. And going by the typical conversion rate of 5-10%, you can still score tens of high-quality links easily. Finding dead links is obviously going to be a very important part of this SEO strategy. An ideal way to do this is using a tool called Ahrefs, but it costs $99 per month even if you buy the most basic plan. However, if you have never used this tool before, you can get a 7 days free trial for just $7, and if you really intend to give this SEO technique a spin, it may turn out to be well worth it. To learn in more detail about this SEO technique, you can check out the broken link building guide on Ahrefs here. A great way to find effective link building ideas without putting in a lot of effort is to simply research your competitors’ backlink profile. All you need to do is finding the right competitors, and then using Ahrefs to find their backlinks. To find your exact competitors, you can simply search for the keywords you’re trying to rank for. Then copy the sites ranking at the top and put them into SEMRush. If you find that the site is ranking for pretty much the same keywords you’re trying to rank for, then it would be a great competitor for finding relevant backlink opportunities. You can then put this competitor’s URL into Ahrefs site explorer, and find all the backlinks it has managed to get. You can also export these backlinks and save the file on your computer. Simply following these steps will help you find many great backlink opportunities that are probably easy to get a link from, as your competitor has already managed to get links from them. This strategy is explained in a very detailed way in Ahref’s guide to reverse-engineering your competitors’ backlinks. Getting links from the forums in your niche and answering relevant questions on sites like Quora may not get you the most powerful backlinks, but they work great for referral traffic and diversifying your link profile in a natural, effective way. The good news is that referral traffic IS believed to be one of the ranking factors too now, which means it’s more important than it has ever been. Also, this approach helps your blog gain more popularity, which may eventually translate into some solid links. However, it’s very important to remember that when following this SEO technique, you need to offer some value in your forum posts or answers, and not just blatantly spam your blog’s links there. Here’s a pretty good guide that makes it simple to follow this off-page SEO strategy. This is another great SEO technique which does require some serious effort, but can land you quite a few solid links that may very well give your blog a significant ranking boost. Again, it’s based around a fairly simple concept as well, which is to create better content than other sites that have got a lot of links and try to get the linking sites to link to your post instead which would be a better resource. Again, it’s worth keeping in mind that not everyone you will reach out to will give you a link. In fact, most wouldn’t even reply. But as making an awesome post is a one-time effort (and would also make a great piece of content for your blog), you can then scale up the outreach to a great extent. And if you do it right, you may very well be able to get a bunch of niches relevant, strong backlinks to your blog. You can repeat this for other such posts as well, and the number of backlinks would add up really quickly. Just don’t forget to link to your homepage from these posts, as you will want all the great link juice to pass through these posts to your homepage as well. Finally, here’s a super in-depth post on the Skyscraper technique by the person that invented this SEO strategy. This is one of the easier link building strategies out there. It simply involves finding other established sites in your niche (preferably the ones that are not your direct competitors), and contacting their owners, requesting them for an interview on your blog. Now, the opportunity to be called an expert (in their niche) and have an interview is not something many people can pass. And this is what makes many of them reply and gladly accept your request. You then ask them a few questions that are not very commonly answered in your niche, and note down their answers. You need to do the same for a few other “experts” in your niche. Then you would need to make a post putting the answers of all the experts in it, and terming it as an expert roundup. Finally, send the link of this list to the experts you interviewed for the post, and tell them to feel free to share it with their readers. And when they share it on their blog, they will likely link out to you. Not everyone will share it or link to your blog, but hey, it’s a few decent niche relevant links and some great content, all with very little effort on your part. Just like the other strategies above, we have an in-depth source of information for this strategy as well, that you can find here. If you couldn’t already tell, we have only discussed white hat link building strategies so far. And that’s because they are believed to be the ideal way to go about doing the off-page SEO for your blog. But not everyone likes to limit themselves to white hat SEO techniques. Many do go for black hat SEO strategies, which often get results much faster and allow a webmaster to have a much greater level of control over their off-page SEO. That’s certainly not saying that it’s the way to go, though. Every now and then we see Google coming up with an algorithm update, wiping out sites that have been boosted to the front page of Google for their keywords using black hat SEO techniques. All said and done, it’s for the readers to decide what route they want to take. But as a part of this massive blogging SEO guide, we will be giving a brief overview of some of the most types of black hat SEO techniques. All said and done, it’s for the readers to decide what route they want to take. If you’re confused, you can check out this detailed guide that discusses black hat SEO in great detail. But as a part of this massive blogging SEO guide, we will be giving a brief overview of some of the most types of black hat SEO techniques. Most people in the blogging community have heard of Private Blog Networks, extremely popularly known as PBNs. These are basically sites made solely for the purpose for improving the ranking for the main site of the webmaster, often referred to as the money site. They are usually built on strong expired or auctioned domains (that are bought from the auction before they drop), and generally, a fairly poor quality of content is posted to them, as they are primarily built only to give links to “money sites” of bloggers. However, only a small percentage of bloggers actually build their own PBNs. Most bloggers end up buying from PBN vendors, which are links from sites that are more like “Public” Blog Networks than a private network. While all blog comments are usually not considered black hat SEO, commenting on completely irrelevant blogs with the sole purpose of getting a link from the comment, without offering any value through the comment whatsoever, is a very old black hat way of getting links. Needless to say, these are typically very poor quality links and often do more harm to a blog’s SEO than good. That said, if the bloggers post a useful comment on niche relevant blog, then blog comments can be a great way to get some decent not-so-powerful links along with a bit of referral traffic (if they do it the right way). While blasting a blog using thousands of links using automated software used to be a popular way of skyrocketing a site’s rankings back in the day, it’s an SEO technique that’s very near to extinction now. Not only do these links no longer help a site’s rankings much at all, but they often attract a Google penalty, something that makes it almost impossible or extremely difficult to get anywhere back to the top ten rankings for any important keywords in the future.